The Immigration and Nationality Act of 1965 did indeed open the nation to newcomers from Asia and Africa. An aside: Latin America often is added to this list erroneously, but in fact before the 1965 law no quotas were imposed on legal immigration from the Western Hemisphere. The post-1965 period was by no means the first time in history that large-scale immigration brought in people hitherto unknown. 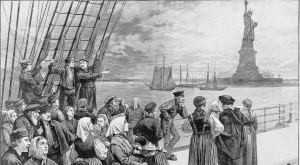 The Germans gave Benjamin Franklin the fits, the Irish led to “Gangs of New York”-style violence, and the Ellis Islanders caused even more consternation. From the 1970s forward, the government reaction has been to create official if synthetic ethnic categories, assign to certain of these categories the legal status of “minorities,” and award members of these groups with privileges as a consequence of group membership. Instead of seeking unity, we have sown division, and are now reaping discord. The post-1970s policy approach could not have injected more poison into the always-emotional immigration debate if it had been devised by anti-immigration nativists. Today’s Census Bureau committee on race and ethnicity and its direct ancestors—five different advisory panels—have been the prime promoters of this balkanization. The first racial and ethnic advisory committee emerged in 1974, when a beleaguered Nixon administration gave in to constant mau-mauing by activists and assented to the creation of such committees. The rest followed soon after.